Big brands are turning to venture capitalism in their search for disruptive innovation and access to new regions and value chains, according to a study by the Boston Consulting Group (BCG). The study found the practice of corporate venture capitalism (CVC) is gaining steam as major companies look to the start-up community as a source of ideas. 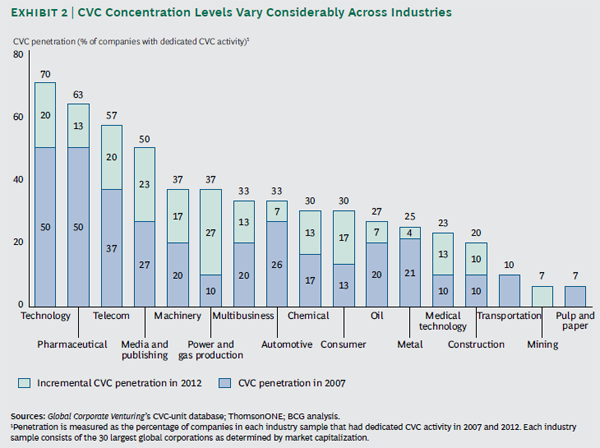 Over 750 of the top US firms across 17 industries have CVC units in place, with consumer goods companies and publishers following in the footsteps of technology and pharmaceuticals brands by resorting to the practice in greater numbers. The investigation of the 30 largest players in 17 industries found technology companies were the most likely to maintain a CVC unit, at 70%, a 20% increase since 2007. Pharmaceutical companies were the next most likely to have a unit dedicated to CVC at 63%, followed by telecommunications on 57% and media and publishing on 50%. Among the faster risers were media and publishing companies, increasing 23% since 2007, and consumer goods companies which rose from 13% to 30% over the past five years. 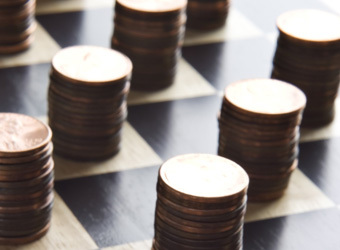 “The winners of the CVC game share a few traits: well-defined investment theses and risk tolerances, detailed strategies for internalising innovations, and balanced skills that allow them to tap the resources of a large corporation even as they operate with the nimbleness characteristic of the start-ups they invest in,” the report states. It also flags a cannibalisation of R&D spend at the hands of CVC efforts. The practice is becoming a necessary complement to internal R&D, so much so that “companies are beginning to transfer a share of their innovation investment from R&D to their venture units,” it reads. R&D spend fell from 11.5% to 11% of sales among technology firms between 2007 and 2011, while pharma brands also cut R&D from 16.5% to 15% over the same period. Technology firms made the highest number of CVC investments – almost 500 – between July 2010 and June 2012, ahead of media owners on 273 and healthcare groups on 229.